I learned that basketball refereeing is not easy. 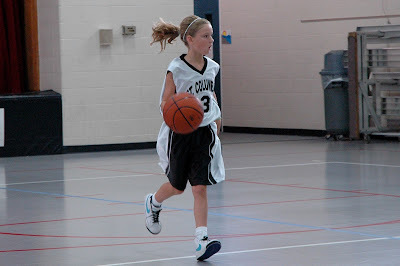 My daughter had a scrimmage basketball game last Saturday. The dad of one of my daughter's teammates is a certified ref and offered to officiate the game. He is used to refereeing with another ref so he approached the stands and asked the other dads to take the other referee spot. I was volunteered by the other dads because I was wearing a referee like white golf shirt with black horizontal pinstripes. I could not argue. Heck, I had been refereeing games from the stands for years, how hard can it be. I found that it is much easier to referee from the stands. The first challenge is to be in the right position. The referees movements are almost choreographed. They move fluidly together. I never paid much attention to the refs movements before. In the beginning of the game, the real ref was constantly telling me were to be. I found myself paying more attention to where I was positioned and not paying close attention to the action on the court. Eventually the positioning around the court became intuitive and when it did I was better able to concentrated on the game. The second challenge was calling fouls. I could see them, but I had trouble blowing the whistle in a timely manner. I see the foul. I think to myself what a hack job that was. The play continues. I realize I am the ref. I reach for the whistle then decide that it is too late to call the foul. The ref told me that that is a common issue with new refs. The third challenge was not rooting for my daughter. I was running the court with the teams and watching my daughter do her thing as the point guard. Several times I had to restrain myself from yelling instructions to her like "watch your back" or "Rachel is open" etc. My daughter's team won the game 15 to 9. CC had 4 points and 3 assists. Most importantly, my refereeing had no impact on the game result. Refereeing from the stands is easy. Refereeing on the court is not. My daughter's soccer coach just returned from Pittsburgh where he just completed his C license. This is a big accomplishment that takes a substantial amount of money, time and commitment. If you are serious about coaching soccer, you should consider taking some soccer coaching certification classes and obtaining a license. Start with the F license. In this 6 part series I will give you information on all the soccer coaching certification opportunities. Step One: The first thing you need to do is contact your state soccer association. 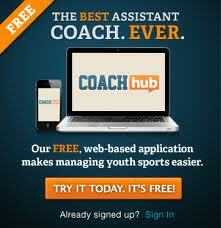 Google Soccer "soccer coaching license" + your State to find the website with the information. 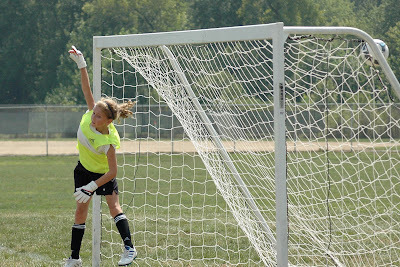 You can typically register for coaching certification courses through the state soccer website. Start with your F license it is easy to get and will give you some exposure to the process. If you know that you are definitely going to get a higher license you should start with the E certification because the F license is not a prerequisite for the E class. If you are unsure about your certification goals start with the F license. The F license is a 9 hour course that consists of 3 hours of class room instruction and 6 hours of instruction on the field (weather permitting) or a gym. Bring a pad of paper to take notes, a pencil or pen, soccer cleats, shin pads and a #5 ball. If you didn't pay online bring a checkbook to pay for the course which will cost about $35. The course will cover basic soccer techniques and coaching philosophy. 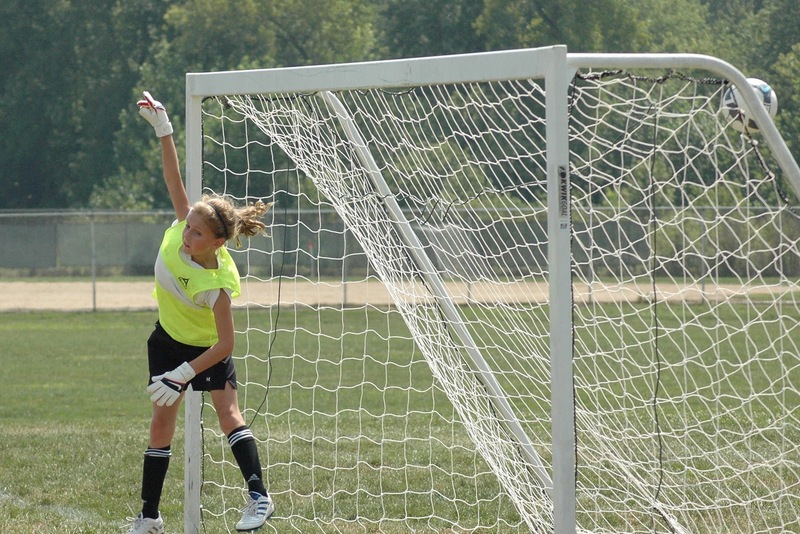 The course is perfect for coaches of very young players or older recreational players. Everyone who participates in all 9 hours of instruction will receive an F license. There is no written test. If you want to be a good soccer coach for young players 5 to 8 years old and recreational level players 9+ spend the $35 and 9 hours of your time to obtain your F license. 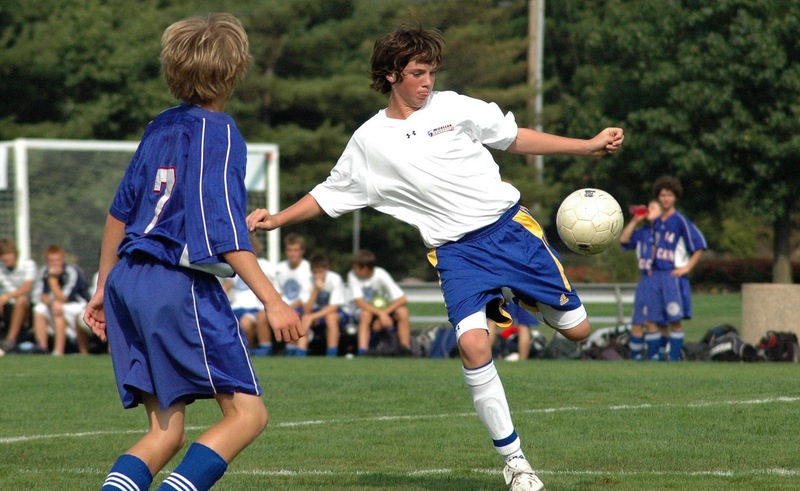 If you are a bit reluctant to take this step because you are nervous about your soccer abilities, don't be. I have to admit I was a little worried about the 6 hour on field training because I had not played soccer in over 20 years, but every thing was done at an easy to understand and do pace. August is Little League World Series time so I thought that I would do some reading about the great worldwide event. 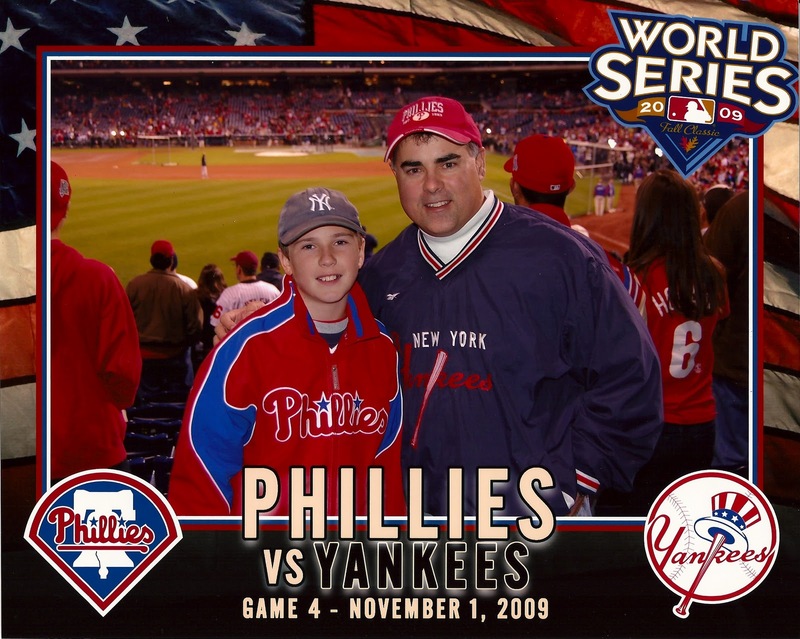 As such, I stumbled upon the Bleacher Report post entitled Little League World Series 2010: Top 30 Little Leaguers Turned MLB Stars. I have to tell you that I found the list surprising and thought provoking. The list spans players debuting in 1959 to present day players. Check out the list of the Top 30 MLB players who played in the Little League World Series over the last 50 years and tell me if you are not surprise by how short and unimpressive the list is. I have watched and marveled at the talented players competing in Williamsport for years so surely the list of players reaching the MLB has be more expansive and impressive than this list. I did some checking and found a similar list on Wikipedia Little League Post. I think I know why this list is so unimpressive. 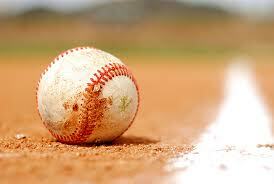 Pure and simple, the best players do not play Little League Baseball, they play select or travel ball instead. Generally speaking, here are the reasons why Little League players are not as strong as their select counterparts. In our city the best players shun Little League and opt to play on highly developed select ball teams where the instruction level is typically superior and often year round. 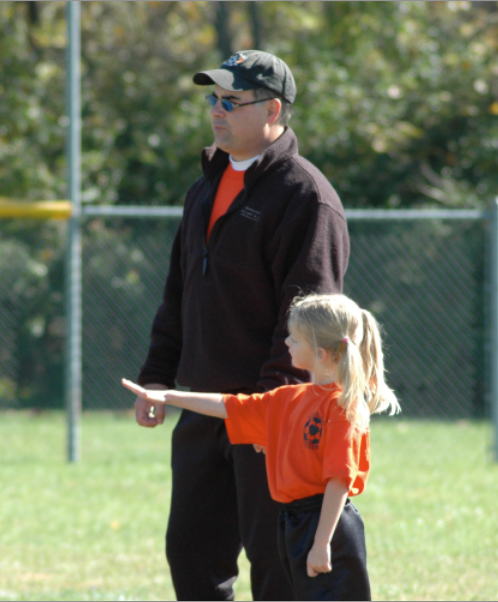 Little Leaguers are often coached by dads. While dads are involved in select ball too, kids are also being instructed by former major league, minor league and / or college players. My son's current team has a former Mets minor league catcher and a former Big Ten Michigan player as trainers. The team also has a direct connection to one of the best High School baseball programs in the state. Through this association, the team gets some instruction from the HS coaches and use of top notch facilities for winter training. Little Leaguers do not typically train year round. 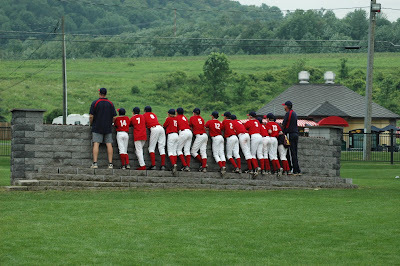 The typical Little League schedule has anywhere from 18 to 30 games which includes an end of season tournament. (Keep in mind that the Little League World Series is made up of All Stars from the entire league and is played by a select few after the regular season at age 12). 12 year old select players typically play in 50-80 games. I have also noticed that select teams carry less players on their rosters compared to Little League teams. This of course means that each select player will get more innings and at bats compared to a Little Leaguer. As the name suggests, select ball is made up of a selection of the best players in the region. 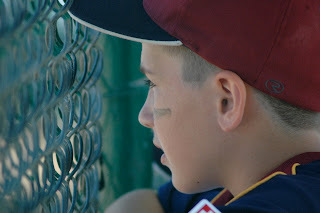 Little League has an open registration and team are often randomly selected. Little League gets some really talented players as we have seen on ESPN, but during the regular season they are playing with and against developmental players. Select players are always competing against the best players in the region and often travel far and wide to play in top talent tournaments. Another reason the top players do not play Little League is the size of the fields. 12 year old Little Leaguers look over grown when they play on a field with 60 foot base paths and 46 foot pitching distance. In select, 8U and 9U players play on a field this size. By the age of 12, the age of most Little League World Series participants, select players play on 70 foot base paths and 50' 6" pitching distance. 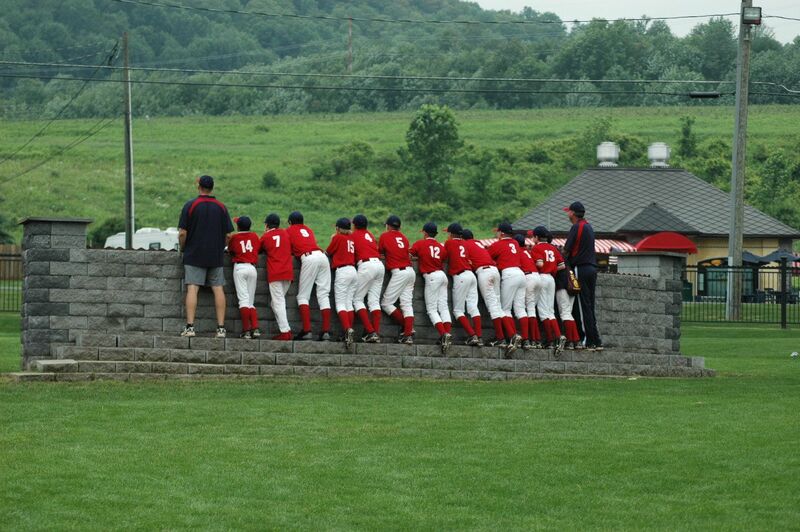 13 year olds play on 80 foot base paths and 54' pitching and 14 year olds play on MLB size fields. 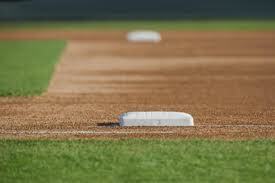 The slow progression in the field size helps the select player prepared for High School Ball. I assume Little League uses the smaller fields for the developmental players that are on every team. I would imagine that many Little League players jumping up from 60 foot to 80 or 90 foot base paths would struggle initially. This struggle may come when they are trying out for a high school team. Select Players play a more sophisticated game. Little League does not use High School rules. They use modified rules because many of the kids are developmental. 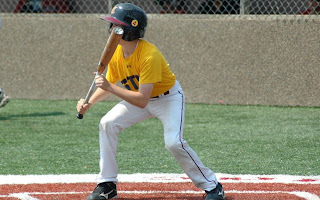 In Little League a batter is automatically out on a dropped third strike and base runners are not allowed to take a lead. In select, stealing and dropped third strikes are played by U9 players who play at the highest level. This is an important distinction. Select pitchers, from a really young age, are learning pick off moves. Select base runners are learning how to read pitchers moves and steal bases at a young age. Select catchers are learning how to throw out base stealers. It is a much more sophisticated level of play and gives these players a clear advantage whey they move on to high school. I can tell you that the best players have no problem with these advanced rules. I also understand why Little League has these rules. Little league takes all players and randomly assigns players. Some players are very talented for sure, but many are not. 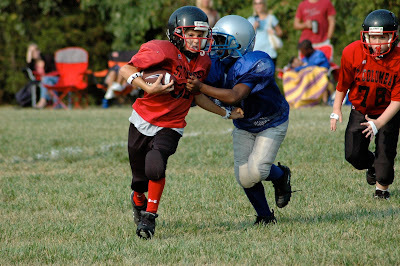 The smaller field and the modified rules are make the game easier for the developmental players. The Little League World Series showcases some great baseball talent for sure, but the evidence is clear that these players are not making it to the pros and the reasons are obvious. Is there a difference between crazy youth sports parents in America and state sponsored athletic programs in say China, Russia or former eastern block countries? I was having dinner with a guy from Romania and a women from Canada. We were talking about youth sports. The guy from Romania is somewhat quiet so I asked him many questions about Romania. I remembered when Nadia Comaneci captured the hearts of people worldwide in 1976. I asked him if Nadia Comaneci was still a legend there. He said yes. He talked about national sports programs where kids are shipped off to train night and day to make the Olympics. I always had the impression that the state selected the top athletes and shipped them off to train. He explained that the state did not take the kids, the parents sent them off in hopes of bettering the family situation. He said in the US there are probably opportunities to train at top facilities close to your neighborhood. In some countries, access to top training is very limited, so parents need to send their kids away if the kid is going to have any chance of reaching the top levels of sports. I said, "That seems like a sad situation. The kids lose their youth and perhaps weaken the family bond. And for what? We only see the ones who make it big. There are probably hundreds of failures for each kid who made a name for themselves. That is a big risk. It's sad." The women from Canada who was listening said something very interesting. She said, "Is it really different in the US?" Perhaps kids are not handed over to a state controlled, completely regimented training program where they tell you what to eat, when to sleep, when to study etc. In the US, crazy moms do the work of the state." I grew up thinking that communist states were one big prison where the government controlled every aspect of the lives of its people. I assumed that the state patrolled the countryside looking for promising athletes and took them from their parents so that they could develop them into superior athletes in hopes that they would bring glory to the state. I often wondered if they killed, tortured or imprisoned the ones that did not bring glory to the state. Athletic success on the world stage demonstrated that communism was good and failure would bring communism into question. I am learning that it was not the state but the parents who controlled the situation in hopes that their kids would bring glory to their families and that is not very different from the situation of youth sports in the US. My son has not played fall ball for several years. His last team did not play fall ball. The coach of that team was a strong believer that kids (pre-teens) should play multiple sports. He thought that playing baseball year round was not good for young developing arms. Of course there are arguments on both sides of this debate. On the one side, doctors warn against repetitive use injuries while others argue that players from warmer climates like the Dominican Republic who play year round build arm strength. My only issue with Fall Ball, at least in this part of the country, is that the teams only participate in games. There are no practices and therefore players typically only throw once a week in the game. I think that this and not repetitive use is the biggest issue concerning arm injuries is especially as it gets cooler. I too am a proponent of playing multiple sports during pre-teen and early teen years. I am, however, looking forward to this fall ball season. Perhaps because my son is on a new team with a new coaching staff. Or perhaps because my son missed the end of the spring / summer season with an elbow injury. I am not sure. My thoughts on Fall Ball. Fall ball is NOT about winning. Fall ball is NOT about stats. Fall ball should focus solely on player development. Fall is a great time to experiment. Coaches should put players in different positions, allow interested players to switch hit, and have pitchers work on a new pitch. Finally, If a team is moving up to a division that plays on a larger field, fall is a great time to get used to the larger dimensions. The goal, once on the field, is to win the game, we expect the effort from the players to achieve a win. However, mitigating factors influence the outcomes: New field dimensions; coaches getting to know the players; players getting to know the coaches and other players; players learning / trying new positions; Players pitching that have pitched little or not at all in the past; coaches experimenting with line-ups, positions and mechanics. The coaches are looking for what we need to focus on this winter to train our players. Be patient, have fun, dress for the weather! Fall Ball seems like the end of the season. Actually Fall ball is the start of the next season. It is a time to stretch talents not stats. Nic's new team played their first fall ball game. Nic went 1 for 1 with 2 walks. He played LF, C, 2B and C. He has not played anything but OF and C for two years. It was a refreshing change. 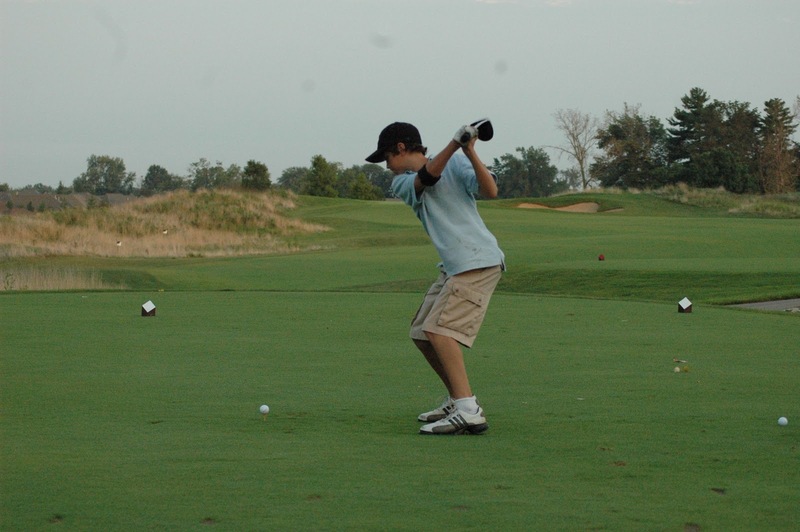 If you son or daughter wants to make the golf team it takes skills, practice, performance under pressure and passion because golf is typically very competitive and the margin for error is low. In baseball tryout you can miss hit a few balls and still make the team. In a basketball tryout you can miss a few shots and still make the team. In a football tryout you can miss a couple of blocks or tackles and still make the team. In a golf tryout, every shot counts. Last year, my son's catholic school started a golf team consisting of 6th, 7th and 8th graders. 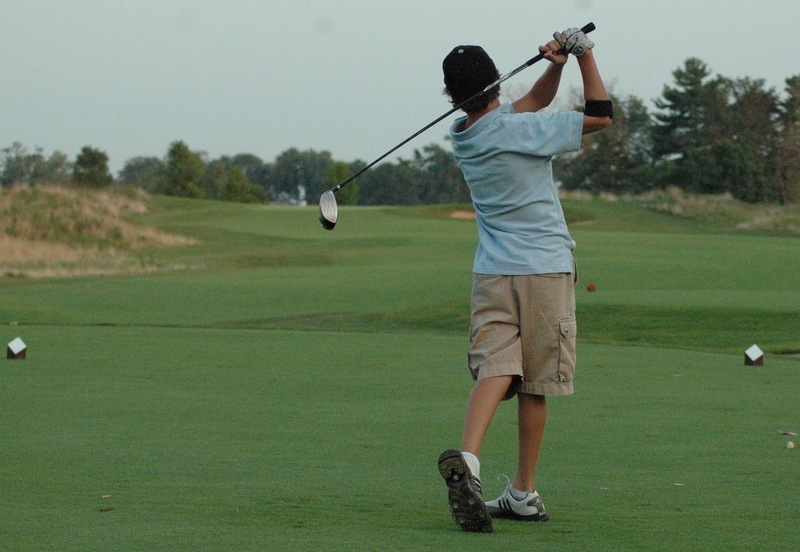 A PGA teaching pro, who is a parishioner of the church, volunteered to be the coach. The coach conducted a 2 day tryout. Each potential player played 18 holes over a two day period. The players with the top nine scores were selected to be on the competitive A team. The A team played against other schools and clubs. The other 30 or so kids played on the B team. The B team competed weekly against each other. Last year in 6th grade, my son, Nic, posted a total score of 101 and was the ninth golfer to make the team. I remember that he worked hard to secure that spot in the weeks preceding the tryout. During the season he became more and more confidence and improved with each match. As the 2010 tryouts approached, Nic was busy playing baseball. Many of the competitors for the nine coveted spots did not play baseball so they had more time to work on their golf games. Nic heard that many of the kids had improved greatly. 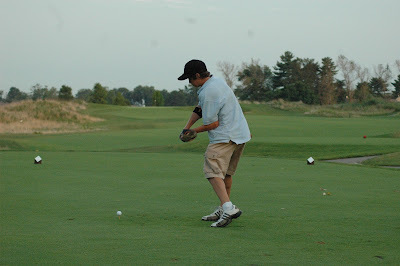 Nic knew he needed to make up for lost time, so once baseball ended, Nic dicated himself to golf. In fact, he played 37 straight days leading up to the tryout tournament. Some days he played 27+ holes. When Nic was not on the course he was in the back yard with his pitching wedge or in the basement making a miniature golf course. The tryout was Tuesday and Wednesday of this week. My son shot an 82 (10 over par) and secured the 3rd position on the team. He was 6 over par after the first 3 holes of the tryout. I am proud that he kept his composure. He improved 19 stokes over last year. All of his friends who also worked hard made the team. Self motivated people who pursue a goal with passion always succeed. The key is self motivation. 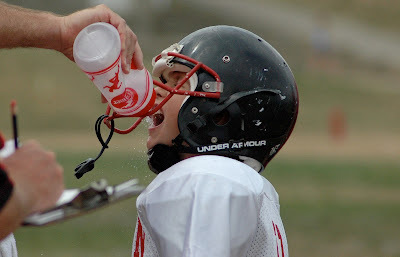 My son would not have made the team if I was pushing him to do something he did not want to do. 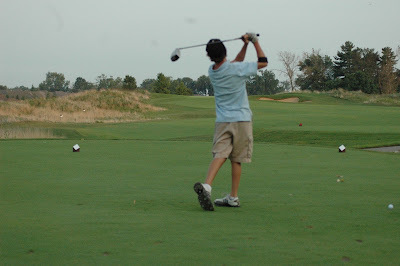 One parent of a kid who did not make the team said, "I wish my son had Nic's drive. If he did he would had a better chance." 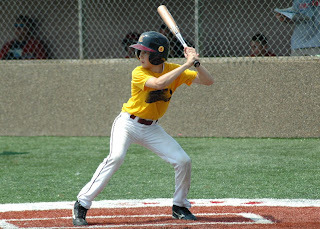 This summer, my son participated in three select baseball tryouts for the 2011 season. This post highlights what coaches should do and what they should not to do based on our experience. What to do: Coaches should make themselves available to talk prior to the tryouts via phone or email. This allowed me to gather the information we needed to make decisions on which opportunities to pursue. I got a good feel for the demeanor of the coach through these conversations. And the coach got a good idea of the potential and fit of the player. What not to do: A few coaches did not return emails requesting information. We did not go to these tryouts. What to do: Advertise your tryout schedule on the league website, team website, local newspapers and word of mouth. What to do: Schedule three or four tryouts dates. The team we eventually selected had four. After the first one, they invited back a select few to join new players who missed the first tryout date. Perhaps a coach can determine the skill level of a player after one tryout, but can they determine the level of commitment, leadership or passion of a player after one tryout? I doubt it. What not to do: A team my son tried out for only had one tryout date. Due to a conflict we were 30 minutes late. Summertime is hectic with lots of conflicts, a team can miss out on some really good talent by having a limited number of tryout dates. What to do: Allow a player to have a private tryout. What to do: Allow for pre-registration via email or website. What to do: Ask players to wear a numbered jersey so the coach can easily identify players during the tryout. What to do: Have a volunteer at the registration table to quickly process potential players. What not to do: Have the coach do the registration. This leads to delays of the tryout. What to do: Have an evaluation spreadsheet on a clip board to capture information about each player. What to do: Have all the potential players properly warm up their arms. What not to do: Allow potential players to throw full speed without warming up. I was at one tryout where each kid threw 15+ long throws from the outfield without a proper warmup period. Players want to impress and throw extra hard, make sure all the players are properly warmed up. What to do: Evaluate all the potential players at every position. A prior coach may not have seen the potential in a player at a certain position. What not to do: Assume a player cannot play a certain position based on appearance. What to do: Give the kids enough pitches to get their timing down during batting practice. Evaluate the potential player's ability to hit pitches of varying locations and speeds. What not to do: Evaluate a players ability to hit based on a limited number of pitches. During one tryout, my son got two rotations of three pitches. He saw a total of six fastball pitches. I am not sure how you can evaluate the true potential of a player on six pitches. What to do: Make the players you want feel welcome. One team was very interested in my son. I am not sure if the coach did this or the players did it on their own, but all of the current players made my son feel like he was a part of the team during the tryout. Your players can help you sell the program. Let your players know who you are targeting. What not to do: Allow current players who are in jeopardy of losing their spot talk bad about the program. My son was taking outfield with one current bubble player who was disgruntled with the coach and the program. After the tryout, my son did not want to play for the team based solely on his conversation with this kid. What to do: Evaluate all aspects of the game. Evaluate baserunning speed and technique, evaluate a player's ability to play all the infield positions, evaluate the player's ability to track a fly ball and to throw accurately from the outfield, evaluate a player's ability to hit various pitches to all fields, evaluate a player's ability to bunt, evaluate a player's ability to pitch and throw pickoffs, and evaluate some player's ability to play catcher (footwork, arm strength, blocking, etc.). What to do: Keep players moving from station to station. Have four or five coaches keep the tryout moving efficiently. What to do: Call or email each player. Put some thought into the rejection letters. What not to do: Fail to communicate a decision. Do not keep players in the dark. Coaches should let each player know as soon as possible so that the player can make other arrangements. What to do: Have current players text message the top recruits. Kids from one team sent my son numerous text messages. This made my son feel wanted. The tryout process is part evaluation and part selling. Coaches need to attract talent to the tryouts, evaluate the talent properly and then convince the top recruits that their program is the best option for the player. My son came into the world on a rainy day in June 1997 at 3:15pm. My wife and I enjoyed our son's first couple of hours with him until a nurse came into the room to take our son for a quick routine check up before bedtime. She did not return quickly. Eventually, a big doctor with a German accent came into our room and said that our son had a serious heart defect. He then told us that he was sorry. The kind of sorry that lacked any glimmer of hope at all. He then informed us that our son needed to be rushed to the Children's Hospital. The transport staff wheeled my son's incubator into our room so my wife could say goodbye. It seemed like a final goodbye. After a tough labor, my wife was in no condition to follow her new son, so I followed my new born son alone. It was tough to leave my wife when she needed me most, but I needed to go. As I was walking out the door, my wife struggled to say words I will never forget. She said, "He will never get to play baseball." Tears filled my eyes as those words echoed in my head. Twenty weeks into the pregnancy, we found out that we are having a boy. 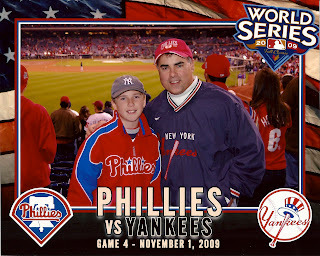 From that moment on, I could not wait to teach my son how to play baseball, my favorite sport. I repeatedly told my wife that I planned to make our new son a lefty hitter even if he was right handed. That dream seemed to be shattered. I left my wife's side and walked in silence down empty hospital hallways toward the exit. I found my car and fumbled to put the keys in the ignition. Through teary eyes, I struggled to see the directional signs that would lead me out of the parking labyrinth. I found the ambulance that was ready to take my son away. I sat there in silence waiting for the journey to Children's Hospital to start. At 2 a.m., it was eerily dark and quiet. The ambulance started to roll. The red lights flashed but there were no sirens. I could hear my heart beating. I reached for the radio knob and turned on the classic rock station, to kill the depressing silence. How many songs are on a classic rock's play list? What are the odds of hearing that song at that moment in time? I think that the odds are low, unless, of course, God is the disc jockey. I got to the hospital in a great mood. God convinced me that everything was ok. I filled out the paperwork and followed my son to the ICU. I waited for about an hour for the official diagnosis. My son had Transposition of the Great Arteries. Basically, my son's aorta was connected to the place were the pulmonary artery was suppose to be connected and vice versa. His heart was pumping great, but he had blood going from his heart to his lungs to get oxygen - and back to his heart. On the other side of his heart he was pumping blood to his body and brain and then back to his heart. This loop never went through his lungs to get much needed oxygen. He was suffocating. Despite the bad diagnosis, I was somewhat upbeat. I called my wife and told her with absolute confidence that our son was going to be OK. My wife said me, "That's great. Did our doctor read the situation wrong?" "No," I said, "But God talked to me and told me everything was going to be OK. In fact, our son is going to play baseball." A sense of calm came over my wife, too, as I recounted the story about the song. My son had a major open heart surgery four days later. The surgery was performed by the skilled Dr. Peter Manning of Cincinnanti Children's Hospital. Four weeks after that, my brown eyed boy rounded third and headed for home. I did make him a lefty as planned. And baseball happens to be his favorite sport. He currently plays on an elite baseball team, a team that beat the Panama and Puerto Rican national teams en route to a second place finish in the CABA World Series. He was named to the All Tournament Team. Here is a picture when he was eight. He hit this ball off the fence about 190 feet, and the reactions of the dads in the background tell the story. If they only knew he has a heart condition, they would really be amazed. God spoke directly to me. God loves baseball. I would be willing to bet that God loves apple pie and America, too. August means preseason football. Grueling two-a-day practices in the heat. Lots of running and lots of hitting. It is a sport that one needs to be passionate about to play. 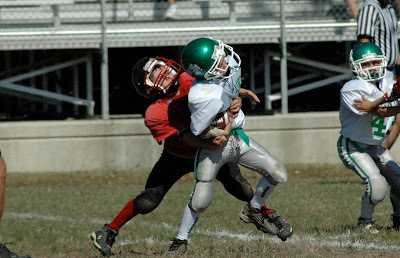 When my son, Nic, was in 3rd grade he decided to play football. My wife and I were surprised because we were a soccer family and Nic was a very good soccer player. We talked to him about his motivations and the risks. We let our kids make their own decisions, so we let him play. He had an outstanding year. He led the team with 72 tackles in 11 games as the right defensive end. He was also the starting fullback. His team had an outstanding year too. They only lost one game during the regular season and made the playoffs. They went through the playoffs to the Cincinnati city championship game and they won it. The next year my son played 4th grade football for the same team, but he did not have the same passion for it as he did the year prior. Regardless, he had a good year and his team won its second consecutive Cincinnati City Championship. My son ended the game with a fumble causing sack to stop a game winning scoring drive by the fierce undefeated opponent. He was sky high after the game. As the 5th grade football season approached, my son decided not to play football. Again, I was surprised. He had just finished a very demanding baseball schedule with a very demanding baseball coach and was not mentally prepared to jump into football. The passion was just not there. Again, we let our kids make their own decisions so we supported his decision. We were somewhat saddened by the decision because we had come to enjoy the football families, but it was his decision. When the coaching staff heard that Nic had decided not to play, they asked me if I was going to make him play. I told them no. They were disappointed but understood. Let your kids decide what sports they want to play. 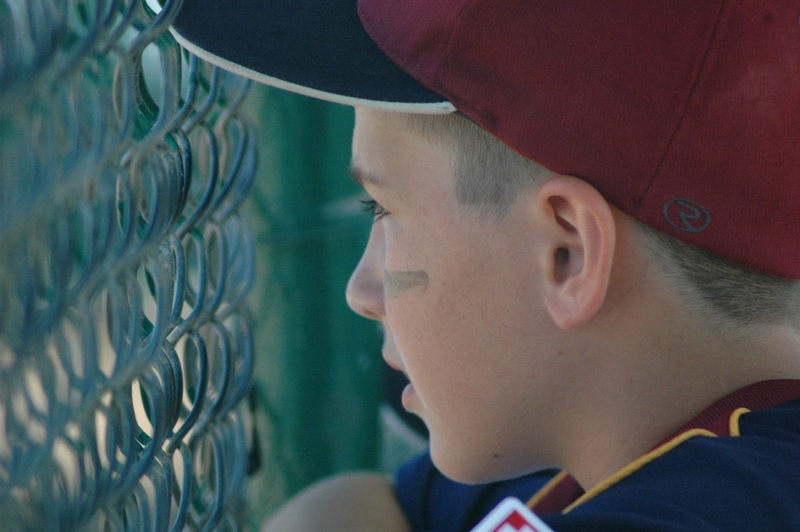 Help them think through the pros and cons of playing or not playing a particular sport, but let them decide. They will be more apt to succeed if they are self motivated to play. There is one exception to this rule. If fear of failure is the reason why your son or daughter decides not to play a sport then you might need to push them. My older son came to me prior to his sophomore year of high school soccer. He told me that he was not going to play soccer. I was somewhat surprised because I knew that he loved soccer. I told him that that would be OK and that it was his decision. However, I told him that he had to tryout for the team and when he made the team he could tell the coach that he was not interested in playing. My son looked at me like I was crazy, but I was dead serious. I informed him that if he did not tryout for the team that he would not be allowed to play XBox at all during soccer season. He reluctantly went to the tryout. He made the team as I suspected he would. And not surprisingly, he decided to play and had a great year. Perhaps his best year of soccer.